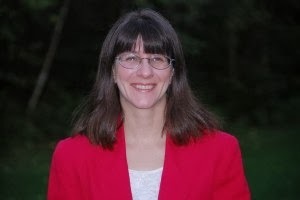 I write for children; picture books mostly, but I’ve finished a middle grade Christian story and have a middle grade historical in the works. A Christmas Kindness is the story of eight-year-old Robert, who visits the mall Santa on Christmas Eve. He’s got a long wish list tucked in his pocket, but when he meets Glenn and hears the boy’s one wish for Santa, Robert wonders if he can cast aside his wants to ask Santa to bring Glenn something special. This has been a tumultuous year for our family, so I’ve focused mainly on a virtual book tour to promote A Christmas Kindness. I also plan to send out a notice to our local paper and bring a few copies with me to our church’s annual Christmas bazaar. The printed version came out last year. 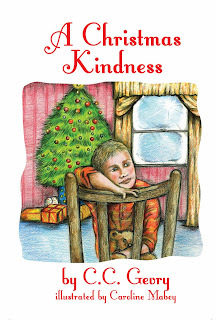 After much consideration, I opted to release the digital version of A Christmas Kindness under my real name, Cheryl C. Malandrinos. The original plan was to keep my secular projects separate from my “Faith-filled Journeys for Kids” brand; but this book is also message-driven fiction, so it makes sense to brand them together. Eventually, I hope to release the printed version under my real name too. They are too many to count, but here are a few: Laura Ingalls Wilder, Lucy Maud Montgomery, Jerry Jenkins, Stephen King, Kathi Macias, Marilyn Meredith, Charlotte Hubbard, and Karen White. Join a critique group. I find I’m a horrible self-editor, even though I can pick up errors and inconsistencies in other people’s writing with ease. I feel it’s important to have a small group of people to help you brainstorm ideas and to provide feedback on what you’ve written to make sure your writing is the best it can be. There are several, but here’s one I feel is important to remember. That I’m following a dream I’ve had since I was a little girl. One of my friends once said, “She’s all over the Internet.” I still don’t if that was a compliment. I have two websites: http://ccmalandrinos.com and http://ccgevry.com and numerous blogs. Glenn’s brother, Nathan, is my favorite. He doesn’t say anything, but his situation is what gets Robert to thinking about what he can do for Glenn and his family. It’s a sweet story with a heartwarming message. That’s why I wrote it. I wanted to teach my girls there is something more important than the gifts under the tree on Christmas morning. The first draft was done rather quickly—probably a week or so. It took me a few months and several reads from my critique group before I was comfortable pitching it to the publisher. The beautiful artwork is from Caroline Mabey and 4RV Publishing designed the cover. Every book is a learning experience. With this one, I knew right away the story I wanted to tell and even had the main character’s name picked out. A Christmas Kindness gave me the opportunity to work on blending a subtle message into a story. You want to empower kids, not preach to them. The printed version is best purchased directly from http://www.4rvpublishingcatalog.com/cheryl-c-malandrinos-or-cc-gevry.php because the price includes shipping. Here are links to where else you can pick up the printed or digital versions of the book. It should also be on Apple/iTunes soon. In addition to my virtual book tour, I have my website, a Twitter page, and can be found on Facebook. My children are my largest source of inspiration. I don’t have to research all of them, but when I do perform research, I start with the Internet to see what I can find. Then I request additional materials from the local library. I couldn’t write books without my friendly children’s librarian. They once went into the basement and dug out books from storage so that I could perform market research. I’m in between projects right now. I’ve written six picture books this year so far and I’m working on getting those into shape and ready for submission. I’ve been wanting to give self-publishing a try, but simply haven’t been able to get my hands around how best to go about it. I don’t feel self-publishing has the stigma it used to, and I’m excited to think about the possibilities out there. That said, I’m still looking for an agent. I feel an agent’s expertise can help me move forward. My desire to write came out of my deep love of books. I’ve been an avid reader since childhood. I love Laura Ingalls Wilder’s keen eye for detail and Lucy Maud Montgomery’s ability to paint beautiful pictures for readers, so I study their work as often as I can. My children do, but my husband isn’t a fan. The kids are always excited about what I’m working on and congratulate me on each newly published book. The husband keeps hoping I’ll find a “real” job. Winter of Wishes which is the latest novel in Charlotte Hubbard’s Seasons of the Heart Amish romance series. For children’s books, I’ve just received a beautiful copy of The Gift of the Magi by O. Henry and Sonja Danowski. Definitely the Little House series by Laura Ingalls Wilder. It’s funny that as a child I didn’t enjoy these books. I tried reading one of them and couldn’t get through it. I loved the Little House on the Prairie television show from the 70s and 80s, which eventually led me to read the books in my late teens. I loved them so much, I went on to read spin-offs like The Rose Years series by Roger Lea MacBride about Rose Wilder Lane’s childhood, The Caroline Years by Maria D. Wilkes and Celia Wilkins about the childhood of Laura’s Ma, Caroline Quiner, and The Charlotte Years by Melissa Wiley, which covers the childhood of Laura’s maternal grandmother, Charlotte Tucker. I also own and have read many books on the real Laura Ingalls Wilder and her family members. In the early days of my writing career, I wrote Little House on the Prairie fan fiction stories; mostly based on the show, but some that included details of Laura and Almanzo’s real life. I read every night. Stephen King once said, “If you don't have time to read, you don't have the time (or the tools) to write.” I truly believe that. Reading not only helps make me a better writer, it is great market research. Sometimes I simply browse new releases in the bookstore to see what’s popular. In addition to reading, I spend a fair amount of time in my garden. I like to cook and bake. I’ve been a Sunday school teacher for 25 years and I’m the treasurer at our church. Thanks for hosting me, Jo. I greatly appreciate you taking the time to share my book with your readers. Wishing everyone a blessed holiday. I am so honored to be listed among your favorite writers, Cheryl. Thank you! Wow, I also feel honored to be given the distinction of being one of your favorite authors. Thank you so much, Cheryl! Well deserved praise, ladies. Wishing you both the best.